Praxis Consulting Group, Inc. was founded in Philadelphia in 1995 by two of our principals, Ginny Vanderslice and Alex Moss. 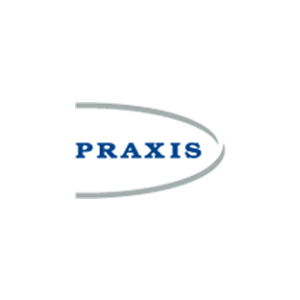 Praxis brings the power of ownership to your organization by aligning leadership, strategy and culture. President Lincoln's Speaker Galusha Grow finally retired from the House of Representatives in 1902; he gave one last speech on “Labor and Capital.” Having seen both the successes and limitations of the Homestead Act, where the distribution of land was facilitated by the federal government, he proposed that because there were growing limitations on capital in the form of land, the future will be in assisting property ownership via shares of corporations. Profit and equity sharing could be used to provide access to property rights to workers in the new industrialized economy. - Galusha A. Grow, the "father of the Republican party"
“I have viewed full employment as a top priority goal for this country. 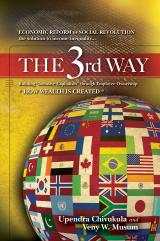 But I also recognize that capital, and the question of who owns it and therefore reaps the benefit of its productiveness, is an extremely important issue that is complementary to the issue of full employment. I see these as the twin pillars of our economy: Full employment of our labor resources and widespread ownership of our capital resources. Such twin pillars would go a long way in providing a firm underlying support for future economic growth that would be equitably shared.”- Hubert H. Humphrey, U.S. Senator (D-Minn.) Washington D.C.
"More than 100 years ago, Abe Lincoln signed the Homestead Act making it possible for our people to own land. This was a revolutionary development. Ownership of land in most of the world had not been possible for the ordinary citizen.... The Homestead Act set the pattern for American capitalism.... Now we need an Industrial Homestead Act, and that isn't impossible." - Radio commentary, "Tax Plan No. 1," /Viewpoint with Ronald Reagan/, February 1975.